Emma was born, raised and still lives in Bangor. She studied Applied Arts at the University of Ulster and Jewellery & 3D Design at UCE Birmingham before starting her own business. 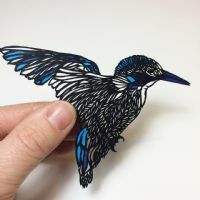 Initially Emma worked in precious metals but now draws her inspiration from her love of interior decoration and design, producing delicate paper cuts and multi 3D layered illustrations. 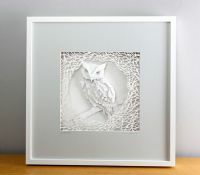 Her artwork is truly intricate yet retains a simplistic appeal.